We will conduct services regardless of the weather, as long as there is power in the neighborhood. 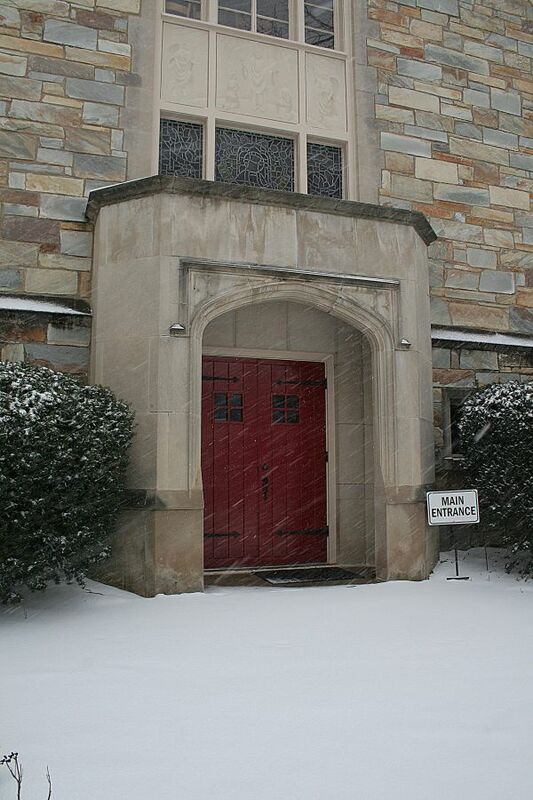 Those who are able to walk or travel safely to church are more than welcome to join for services as scheduled. All offerings will be simplified. Dependent upon the availability of other staff and lay leaders, it may be the case that there is no Sunday School, child care, Children’s Chapel, or typically robust coffee hour. We will have Eucharist at 8 and 10 AM. All individuals scheduled to serve on Sunday morning in any capacity (Lay Eucharistic ministers, choir members, acolytes, ushers, greeters, counters, Altar Guild members, Sunday school teachers, Children’s Chapel ministers, etc.) should attend to personal safety first. While you will certainly be missed, no amount of risk is necessary to fulfill your commitment. While we have recently contracted with a service to have our sidewalks plowed, please know that they may not be completely clear if the snow is still falling. Likewise, even if the main roads are closed, the neighborhood streets may still be treacherous. As we often pray, wherever two or three are gathered, we will be mindful of God’s presence in our midst! Those of us who are able to gather will, and hope that all those nestled at home will join us in lifting up prayers as well.